Coming out with their first full album, the band Waterparks is determined to introduce themselves with flair. 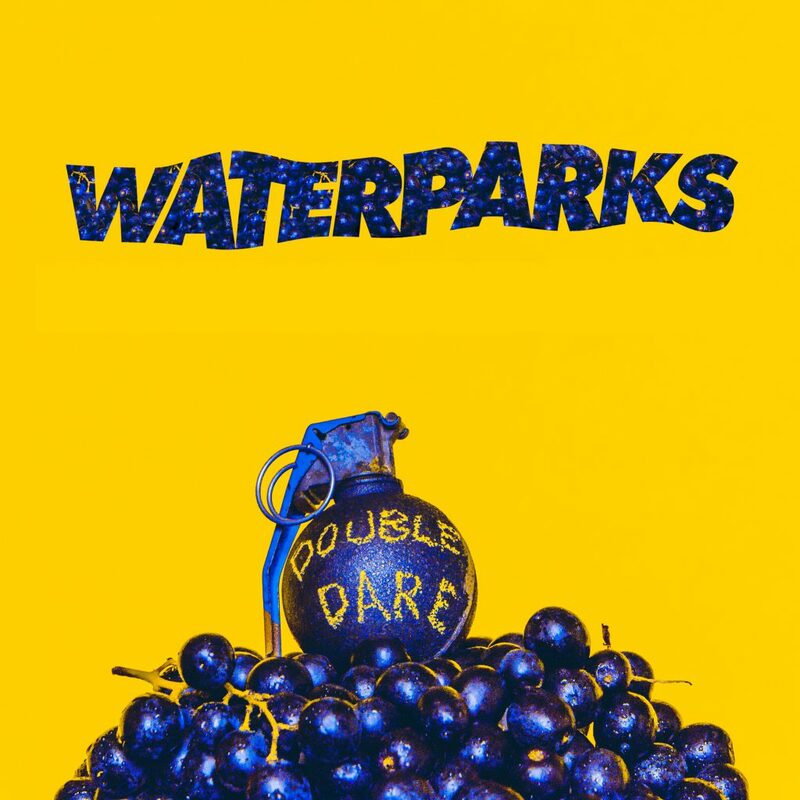 Double Dare, released November 4th, came onto the pop punk scene not one moment too late. Although not relatively widely known, they are band whose followers are loyal and persistent in listening and waiting for their music to be released. People may know them from Warped Tour, or playing with Never Shout Never. This album was long awaited, and did not disappoint. My first impressions was that the band reminded me of the All-American Rejects, although that did not resonate with every single song. They seem to pull influences from every genre of music, from punk to electronic. It’s a style that has been missing for a while now. Some people may think their sound may have peaked in the early 2000s, but from this album, they prove that they give fresh insight with catchy lyrics and introducing popular trends of guitar that isn’t too heavy and taking Panic! At The Disco lessons by including electronic riffs. Starting everything off is “Hawaii (Stay Awake)”, and it definitely keeps us awake. They entice us with an entrance similar to the back and forth in “Baba O’Reilley” by The Who. An upbeat song, it’s a welcomed respite from the doom and gloom that often follows pop punk. Being the second song released off of the album, I can see how it would draw in listeners and new fans to the band. A personal favorite is “Gloom Boys” as the lyrics strike home with me. I’ve found that Waterparks writes songs that are direct and to the point, and get across the poignant points they write still eloquently, without fluff. Such as with, “It’s kind of messed up/The only time I write/Is when I’m stressed or sad”, the band hits on deep topics without getting messy and diving too far down and losing their message. Undoubtedly, so far the most popular song is “Royal”. It’s a solid song, and to me has a good balance in the chorus between the instrumentals and vocals. Often times, the vocals aren’t stressed enough, but the way the band plays it all off makes it feel like every word is intended. If you need an ear-worm, this is the one to listen to. “Take Her to the Moon” was the most surprising track for me. It seemed like something you’d hear on the Top 100, not something from an alternative band. The side of me that loves certain pop related this song to “Shut Up and Dance” from Walk the Moon, the way that it could rise to fame and be more mainstream. On the other hand, the stripped down song “21 Questions” had a great choice in regards to the use of acoustic guitar. It was contradictory to “Made In America”, which is much more fast paced and with the more a-typical punk guitar and rebellious spirit. I’ve been waiting for a revival of the rebellious spirit that used to be so strong, and they might just be the saving grace. Good ol’ sticking-it-to-the-man has been missing for too long, and they exude everything that props up individuality and introspection. The originality of the band should not be questioned. Even though their music includes multiple styles, it doesn’t mean they don’t have their own style. As the band grows, I expect for their tone to solidify and music style to become more definitive. For now, I will be content to search for the Pixar references included in every song. Previous ArticleTV Review: Supergirl 2x06 "Changing"